Will My Divorce Case Be Part of Public Record? > Family Law > Divorce > Divorce Planning > Will My Divorce Case Be Part of Public Record? Whether your divorce case will become part of public record will depend on the details of your situation, as well as how your case ends up being resolved. Although divorce cases can be part of public record, not all are or have to be, a Littleton divorce lawyer explains. Here’s why. 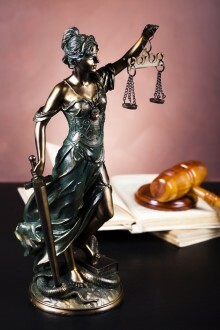 In general, cases that proceed through the court system will become part of public record, and divorce is no different. So, when someone files a divorce petition with the court, that petition will typically be part of public record, meaning that anyone can see when it was filed, who filed it and what is requested in the case. The final divorce decree if it is ultimately up to the court to resolve the issues of the divorce. Abuse or domestic violence may be involved – In these sensitive cases, the details of divorce cases can be kept from the public record to protect the victim(s), especially when those victims may be minors. Either party in the divorce requests that the records be kept under seal – Divorcing couples can specifically ask the court to keep their divorce case under seal, preventing it from becoming part of public record, when they want to protect the identities of the involved children or when other special circumstances may come into play. What constitutes a “special circumstance” can vary from case to case and will ultimately be left up to a judge to determine. The divorce can be resolved via mediation – Whether the court orders mediation or a couple voluntarily decides to mediate their divorce, when mediation leads to divorce settlements, the details of the divorce will also not become part of public record (as mediation proceedings and resolutions remain private). This can be a big incentive for some couples, potentially motivating them to be more open to compromising with an ex to work out a resolution that will remain private. For effective, experienced representation in Colorado divorce, contact a trusted Littleton divorce lawyer at Bahr, Kreidle & Flicker. Since 1983, our attorneys have been committed to vigorously advocating our clients’ rights and protecting their interests in divorce and other family legal matters.